“The key to a good party is filling the room with guests more interesting than yourself.” – Steve Rubell, owner of notorious 70’s NYC nightclub studio 54. Stereo Montreal brings this mentality into today. You’ll find that in our modern era, this type of Studio 54 scenario can only exist at the start of a movement – like the 90s rave scene or an exclusive ‘invite-only’ celebrity status party. 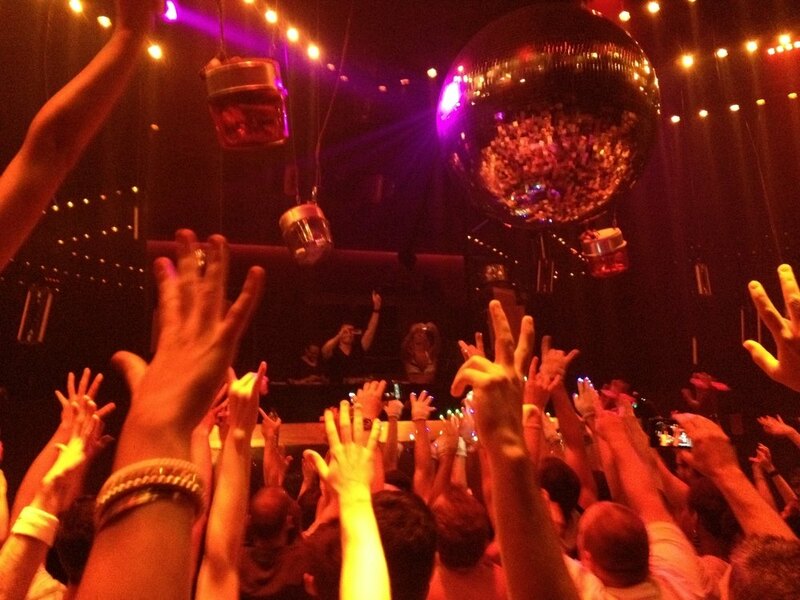 However, legendary nightclub Stereobar Montreal comes close to this. Not only having the luxury of a legendary sound system, but a loyal and experienced fan base to boot – Stereo Montreal has the most sought-out DJ lineup in our city. This is what being Best Kept in Montreal is all about. … which will shine by its musicality. Carefully co-produced by Stereo and Vision, on the occasion of Easter weekend. 17 hours of music worthy of an Olympic event, to celebrate the vitality of our neighboring and local scene. 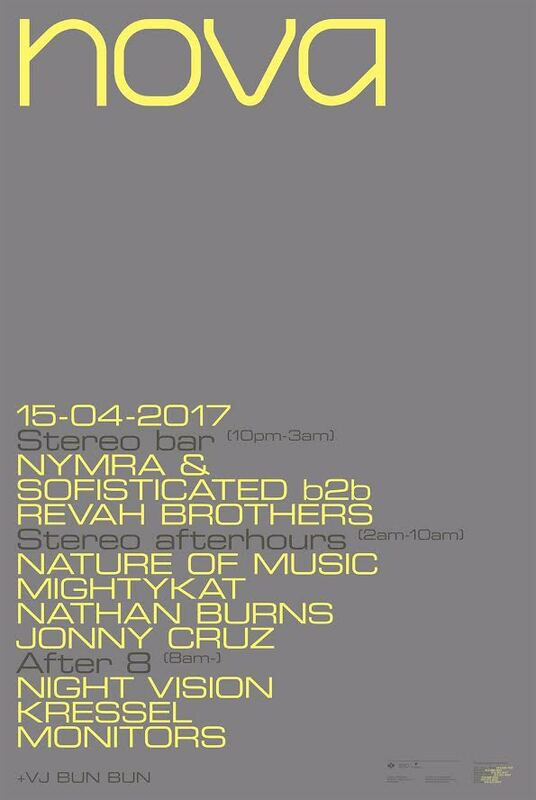 … from 10 to 3 AM, bringing a b2b with 2 duos, Nymra & Sofisticated and the Revah Brothers. Expect a bright euphoria here, and let it lift you up….. lift you up 2 flights of stairs in fact to Club Stereo’s main room where the music always hits the sweet spot. Full of energy and enough spank to get your party whipped into a frenzy. Be your own bright Nova with Stereobar when you hit your 2nd (or 3rd!) wind. It is totally possible -trust me! As the sun comes up, there’s no slowing down with Stereo Montreal. After8 AM it’s back down for more moving and shaking – with it being Easter weekend for many this will push you beyond reality and stretch past 5-6PM. Tickets for Stereobar can be found here for only $8. Tickets for Stereo after-hours can be found here for $25. Note that this event isn’t scheduled to open its doors til 2 AM. Wanna be your own Nova this Easter and take on the full event? Reach out to one of the ticket promoters for the whole Stereo Montreal Nova experience. These are not available online. Limited quantities available – act fast!